Do it now. Do it right. 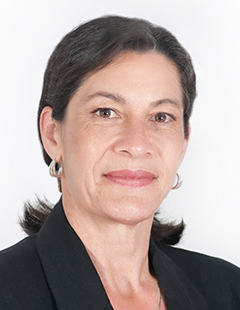 Denise Bidois became a property manager after a career which included working for Barnardos in Rotorua and contracting to the Open Polytechnic. She has worked with Realty Services, EVES Property Management's parent company, since 2005. Her professional experience and her life experience as a mother of two, grandmother of four, home owner and rental property owner have given her the skills to sum people up quickly and accurately. Her practical experience in property maintenance enhances her ability to recognise and anticipate problem areas. "As a rental property owner myself I understand the outcomes a landlord may be aiming for and have the skills and knowledge to work with them to achieve these." She appreciates the advantages of working under the umbrella of a large management company. "I am able to take responsibility for and refine my own portfolio under the personal portfolio model and have the opportunity to grow my personal income with the support and resources of quality management and administration." Denise keeps her industry knowledge up to date by the regular training provided and by networking with other stakeholders. As a landlord myself I have been totally impressed with the dedication and professional attitude which Ms Bidois brings to her business dealings. Our best property manager in New Zealand. "We have relocated from Auckland and the way Louise and Denise went out of their way for us was outstanding. The lady at reception was also very, very helpful. Thank you."